The stories put the blame on the Italian Grand Prix organizers, but the decision stinks of Enzo’s manipulative ways. Enzo Ferrari’s passive aggression was a persistent dark force in early Formula 1. In Richard Williams’ Enzo Ferrari: A Life, it becomes clear the old man’s pathological need to manipulate the status quo was pervasive. In 1960, the Italian Grand Prix organizers made a strange decision; at the last minute, they changed the course dimensions. Instead of running on the road course, with which modern F1 fans are familiar; the organizers used the combined 10-kilometer course. 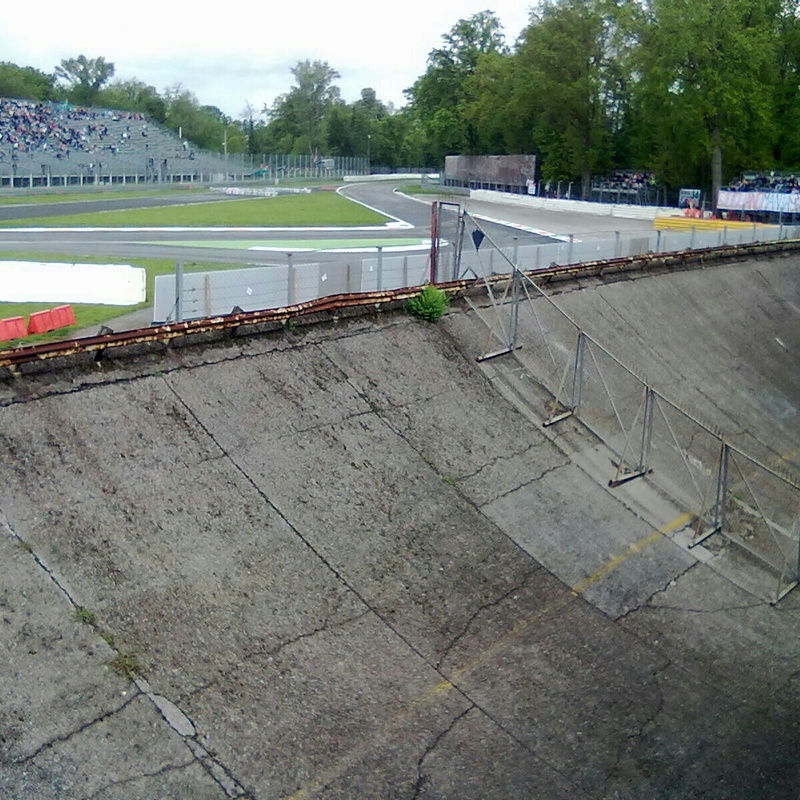 This meant that the drivers would have the cope with Monza’s notorious banked sections. This would also give a boost to the high-horsepower, but rather un-agile, front-engine Ferrari’s. While there may exist little proof that Enzo manipulated this particular situation, this is certainly the type of antic that Ferrari was notorious for. 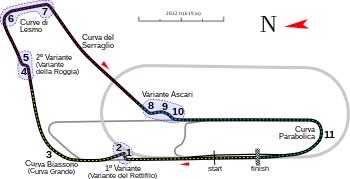 3,500 laborers built the Autodromo Nazionale Monza in 1922. It featured an oval track superimposed on top of and next to a road circuit. There were seven deaths at the track between 1922 and 1933, at which point the combined circuit was modified to a version closer to the modern track. As the Second World War raged across Europe, the track fell into disuse. The road circuit was rebuilt with alterations following WWII, as people rediscovered the excitement of motorsport. However, the high-banked circle track had not been used since 1956—already deemed too dangerous for the speed of the day’s cars. As a result, the entire contingent of British teams withdrew from the race. It was dangerous not only for its sheer speed, but also for the increased load taking such high banking’s at ridiculous speeds (for the day) would place on suspension components. Let us not forget, the British cars were designed on flat tracks placed on former military airport runways. Without the Lotuses or Coopers, only a haphazard field of F2 cars remained, with little hope of catching the crimson Ferrari’s. As an unintended consequence of the British teams withdrawal, Bruce McLaren was denied any opportunity to win the 1960 championship. By withdrawing, there were no longer sufficient points for McLaren to topple his teammate Jack Brabham. To the delight of the Italian crowds, the race turned out as the organizers intended: a Ferrari processional. Phil Hill sat on pole, while relative unknowns Richie Ginther and Willie Mairesse (both also driving for the Scuderia) sat alongside Hill on the front row. Phil Hill not only took pole, but he also set the fastest lap and led every lap of the race. Neither Ginther, nor Mairesse could keep pace with the American. While there may not be proof that Enzo colluded with the Monza organizers to use the longer track, which strongly favored the front-engine Ferrari’s, there does exist proof for another bit of politicking. So busy were Ferrari, that they did not even bother to attend the United States Grand Prix, the final race of the 1960 F1 Championship. The Ferrari 750 Monza Spider. This entry was posted in 1960 and tagged 1960 Italian GP, auto, Autodromo Nazionale Monza, Bruce McLaren, cars, Enzo Ferrari, Formula One, Monza, motor racing, Phil Hill, Scuderia Ferrari. Bookmark the permalink. ← John Surtees Strong at 1960 Portuguese GP.